This system provides an outstanding balance between low cost and full features. 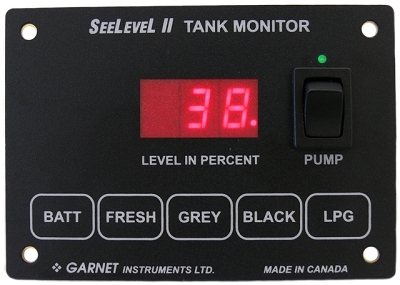 Instead of single points that give you only a close approximation of how full your tanks are this system offers a continuous level and shows an actual number, in percent of full. A three way switche and monitoring LED is provided for the water pump.